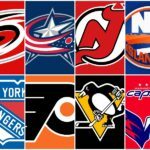 The Metropolitan Division could be the most competitive division in the National Hockey League, as all eight teams are more than capable of making the playoffs. This division is comprised of teams that had some of the best and some of the worst offseasons in the league. 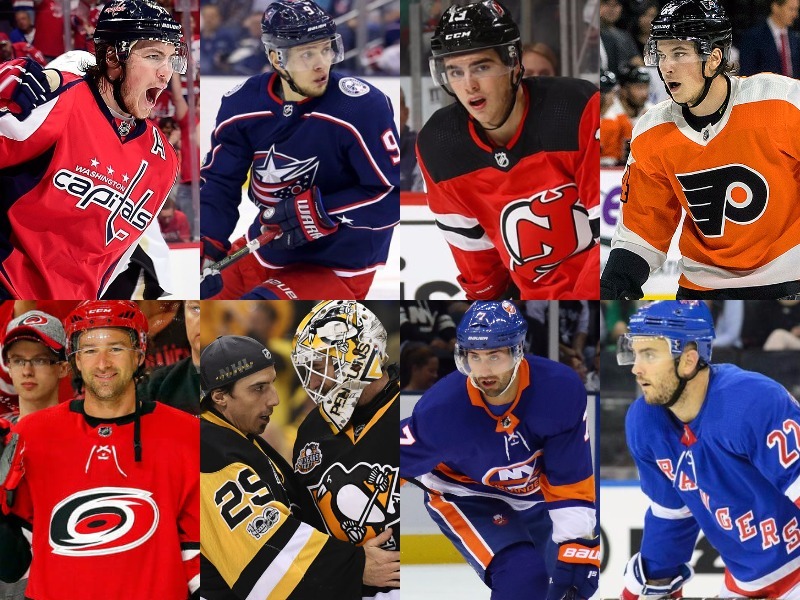 Here’s an overview of the offseason activity of the Carolina Hurricanes, Columbus Blue Jackets, New Jersey Devils, New York Islanders, New York Rangers, Philadelphia Flyers, Pittsburgh Penguins and Washington Capitals. 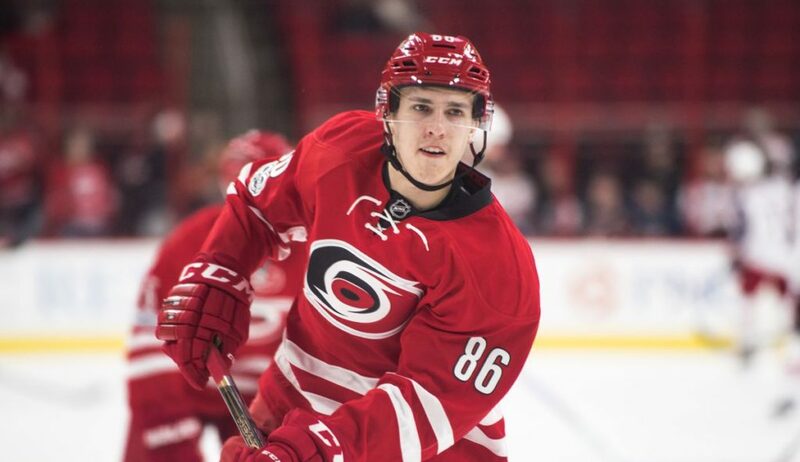 The Carolina Hurricanes have a lot of young talent, from forwards Jeff Skinner, Teuvo Teravainen, Sebastian Aho, Victor Rask and Elias Lindholm to defensemen Justin Faulk, Jaccob Slavin, Noah Hanifin, Brett Pesce and Haydn Fleury. Throw in some veterans with Stanley Cup experience like Jordan Staal, Justin Williams, Marcus Kruger and Scott Darling and you have a team with tremendous potential, ability and depth. The Hurricanes have a lot going for them after general manager Ron Francis set this team up for success with one of the best offseasons in the National Hockey League. Here’s an overview of what he accomplished. The Hurricanes started the offseason with an early trade-and-sign of netminder Scott Darling, fresh from a three-year stint as Corey Crawford’s backup goalie in Chicago. Darling would have been a casualty of Chicago’s offseason dealings anyway, so it was an intelligent quick strike for Francis to grab him and get him signed on for four years. The $4.15 million cap hit was a bit high considering it would be Darling’s first time as a true NHL starter, but he wasn’t exactly an inexperienced backup either. Darling stepped in for the injured Crawford on numerous ocassions, performing admirably and always keeping the Hawks on track. His 9-4-0, 12-8-4 and 18-5-5 records could be partially attributed to the strength of the Blackhawks team in front of him, but he held his own and put in some quality performances for Chicago. It was time for him to step into the starter’s crease, and Carolina took care of its goaltender issues before the first week of May. 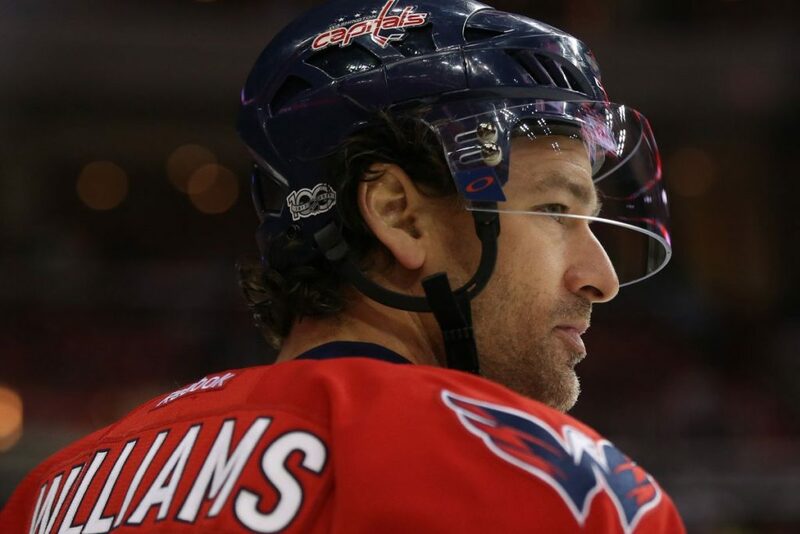 After the Washington Capitals found themselves in a cap crisis, one casualty of the process was experienced three-time Stanley Cup Champion Justin Williams, also known as Mr. Game 7 for his incredible performances in past game seven’s. Unfortunately, he was unable to take care of things for Washington last season against Pittsburgh, though the entire team played one of its worst games of the season when it mattered most. Williams did his job in the playoffs and helped carry the team on many nights, so his reputation is more than intact. 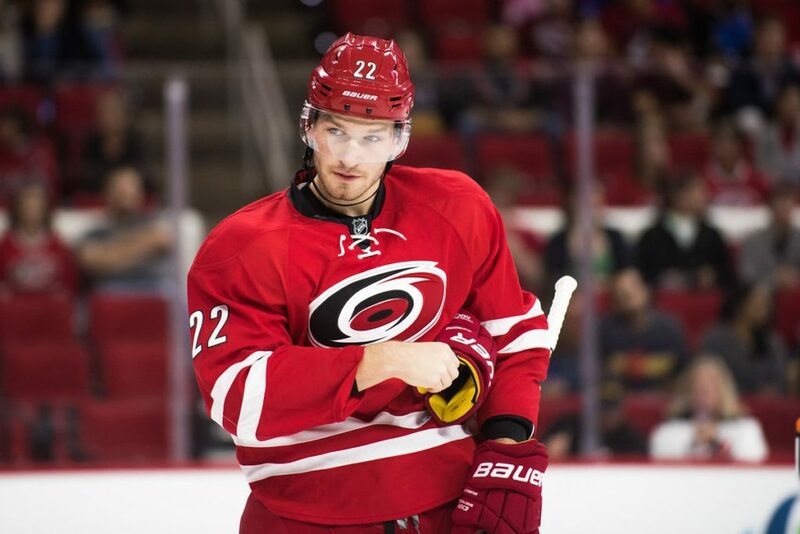 Williams elected to return to Carolina after spending five seasons with the Canes, which included a Cup win in 2006. The 36-year-old winger took a two-year deal with a $4.5 million cap hit. While the money is a bit high, Francis did what he had to do to land a top free-agent acquisition, and Williams is worth every penny. Many players slow down as they age, but Williams is coming off two of his best seasons in years. 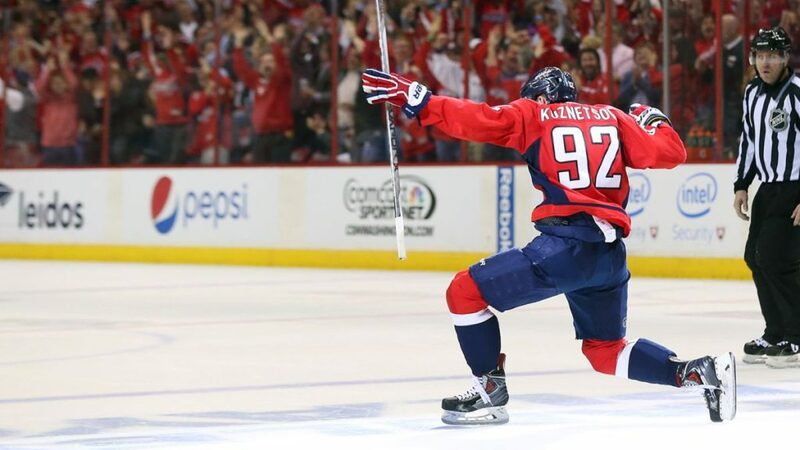 He scored 22 goals and 52 points in 2015-2016 and 24 goals and 48 points last season, both with the Capitals, reaching his highest production levels since 2011-2012. Plus, though the league around him has changed and has gotten much faster, William’s speed is not an issue. He is more than capable of skating with almost anyone, and he will have no trouble producing for this Canes team. His leadership and locker-room presence are priceless, and when he signed with Carolina he immediately said that he wanted to bring playoff hockey and success back to Carolina; there aren’t many players better equipped to do that. He will be a tremendous influence on the young players on and off the ice. This was an excellent offseason move by Francis. Francis took advantage of the Vegas Golden Knights’ situation and acquired two important players that will help his team take the next step. 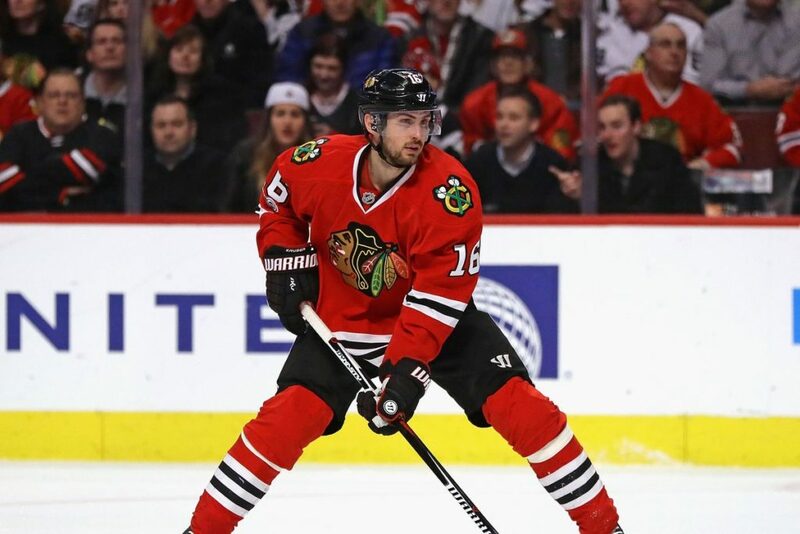 First, he acquired veteran defensive center Marcus Kruger from the Blackhawks (via Vegas general manager George McPhee) for basically nothing (just a fifth-round pick). Then, he acquired Blackhawks defenseman Trevor van Riemsdyk from Chicago (via Vegas after van Riemsdyk was selected in the expansion draft) for just a second-round pick (the Canes also received a seventh-round pick in the deal). Both deals were steals for Carolina and will benefit this team in the short- and long-term. The Hurricanes also re-signed many key players on offense and defense, locking up key members of the team’s core. From a young skilled forward like Teuvo Teravainen to defensive stars-in-the-making like Jaccob Slavin and Brett Pesce, Francis took care of business this summer and kept all the necessary components that will make this team thrive. Teravainen signed on for two more years at a $2.86 million cap hit, which is very reasonable for the 23-year-old Finn who scored career highs in goals (15), assists (27), points (42) and power-play points (15) last season. 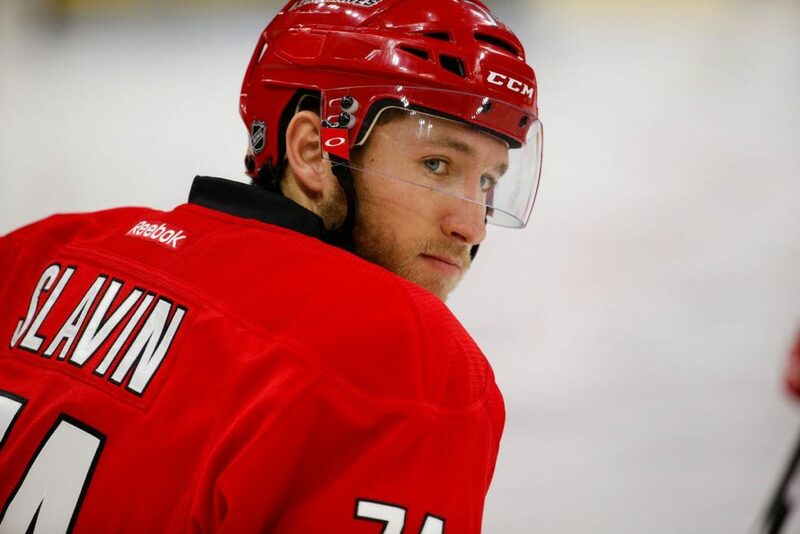 Derek Ryan, Brock McGinn and Phillip Di Giuseppe were three other forwards that will remain with the team for the next 1-2 years, and both Slavin and Pesce were locked up to long-term deals of seven and six years, respectively. Slavin, 23, is coming off a career season in which he registered 34 points and stepped up and proved he can be a solid top-four or top-two defenseman in this league. He signed a seven-year extension that carries a $5.3 million cap hit, which will be a steal down the line. He has one year remaining on his entry-level deal, which means he is signed for the next eight years. Pesce, who signed a six-year deal at a $4.025 million cap hit, is coming off his first full season with the NHL club and will be another key member of the team’s strong back line moving forward. Pesce had an impressive season with 20 points, a plus-23 rating and a 54.1 Corsi For rating at even strength, showing that he is capable of much more. This team has so many solid blue liners that even Justin Faulk, considered one of the better offensively-minded two-way defensemen in the league, seems almost expendable. However, despite offseason rumors suggesting he may be on his way out, that seems highly unlikely, especially considering the team named Faulk as a co-captain along with Jordan Staal. With Slavin, Pesce, Noah Hanifin and Haydn Fleury, this Hurricanes roster is stacked on defense, and that doesn’t even include van Riemsdyk and Klas Dahlbeck, not to mention Jake Bean and Roland McKeown who are waiting in the wings. Throw in a special talent like Faulk and this is possibly the most underrated back end in the entire NHL. The Carolina Hurricanes had a strong offseason and should remain competitive in the tight Metropolitan Division all season. 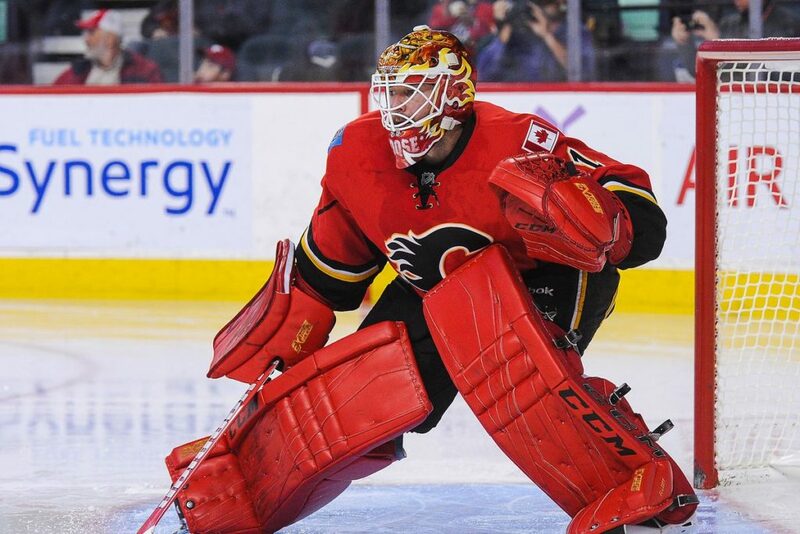 Darling may encounter some growing pains along the way but should be able to prove that he can carry the load of a starting netminder in this league. The team has a very strong mix of young talent and veteran skill and has more depth than many appreciate. At the end of the day, there is a lot of talent on the 2017-2018 Hurricanes roster, as well as a lot of veteran leadership and Stanley Cup experience. Don’t be surprised to see this team catch fire down the road. The Columbus Blue Jackets have seen their ups and downs over the past few seasons but remain a top threat in the Metropolitan Division. With talent and depth at the forward, defense and goaltender position, the Blue Jackets have a lot of weapons at their command and seem to have found a blend of hard work and skill that allows this roster to succeed. Though the team has never won a playoff series, there is a bright future for this franchise. 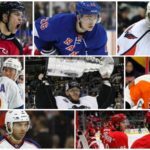 Here is an overview of what Columbus did in the offseason and how it may affect the 2017-2018 campaign. The Columbus Blue Jackets and Chicago Blackhawks made a shocking trade over the summer that sent forward Brandon Saad to Chicago in exchange for Artemi Panarin; Columbus also gave up goalie Anton Forsberg, received forward Tyler Motte and exchanged draft picks with the Blackhawks, but the highlight of the deal was Saad for Panarin. It was shocking for several reasons, though most of them were related to why the Blackhawks made the trade (as explained in the Central Division offseason overview). The deal made perfect sense for the Blue Jackets at the time, it makes perfect sense now and it will continue to make perfect sense for at least the next two years. 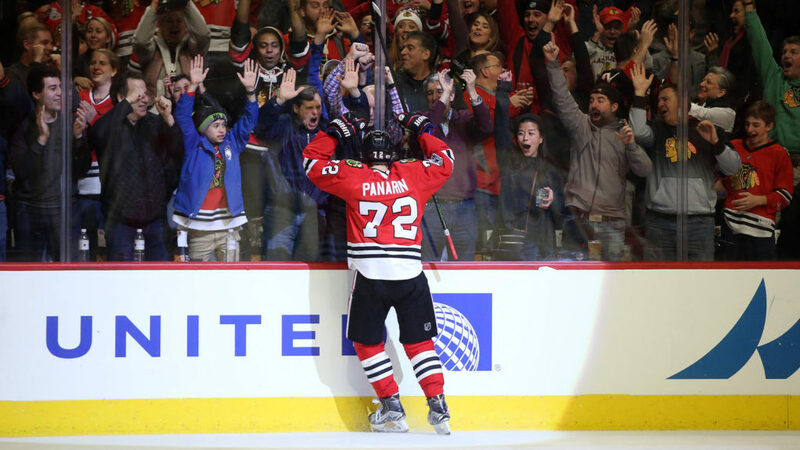 Though Columbus acquired Saad two summers ago and quickly re-signed him to a six-year extension, Panarin is a more flashy and explosive forward and was coming off back-to-back 74-plus point campaigns. Plus, he will add another dynamic to this already-talented forward corps. Panarin should settle in on the Blue Jackets’ first line and first power-play unit. Though he’s not expected to hit the 80-point mark in Columbus, especially without the help of Chicago forward Patrick Kane by his side, he should produce at least 65-70 points and will focus more narrowly on scoring rather than the two-way game Saad brought to the table. This was an excellent move for Blue Jackets general manager Jarmo Kekalainen. Alexander Wennberg was coming off his third season with the Blue Jackets, but it was a particularly special campaign for the 23-year-old as he set career highs across the board with 13 goals, 46 assists, 59 points, 23 power-play points and a faceoff winning percentage of 47.39 percent. His three-year, $4.2 million deal had expired, but no one could have expected Kekalainen would be able to re-sign his first-line center at such tremendous value. Wennberg agreed to a six-year, $29.4 million extension, which carries just a $4.9 million cap hit. The deal comes after just one season of excellence at the NHL level, but considering it was clear Wennberg would be the team’s first-line center moving forward, that value is an absolute steal. After trading franchise center Ryan Johansen for defenseman Seth Jones a few years ago, many wondered if Columbus would be able to fill such a massive hole at the top of the lineup. Whether or not Wennberg is a true replacement for Johansen is irrelevant, especially considering the controversy Johansen created regarding his contract negotiations. The team was able to land Jones, whom many believe possesses the ability to be a No. 1 franchise defenseman in the future, and Wennberg is a solid top-line guy. In any case, the deal is incredible for the team, especially since Wennberg should only get better as the years go by. It seems like quite a while ago, but the Vegas Expansion Draft on June 21 presented problems for many teams with lots of talent to protect. Kekaleinen gave up assets to protect more important ones, and while he parted with a first-round pick, it was a very smart move for the organization. Making sure to retain defenseman Jack Johnson, goaltender Joonas Korpisalo and forwards Josh Anderson and Matt Calvert, among others, was much more important than the value a first-round pick would provide. This Columbus team has tremendous depth already, with Cam Atkinson, Boone Jenner, Pierre-Luc Dubois, Sonny Milano, Oliver Bjorkstrand, Nick Foligno, Brandon Dubinsky, Wennberg, Panarin, etc. up front and Jones, Zach Werenski, David Savard, Ryan Murray, Johnson and Gabriel Carlsson on the back end. Protecting the additional assets that make this team the threat it is was absolutely worth what he had to give up, which includes center William Karlsson, whom Vegas selected in the expansion draft. Kekalainen was forced to part with value but did not lose anything irreplaceable and was able to protect the assets he has accrued over the years as he continues to build a Stanley Cup contender. One such asset was winger Josh Anderson, whom Kekalainen later re-signed to a two-year contract extension, though it took until just before the start of the season to get a deal done. However, the 23-year-old will remain in Columbus for the next two seasons on a contract that carries a $1.85 million cap hit. The Columbus Blue Jackets have extraordinary depth up front and on the blue line and have one of the best regular-season goaltenders in Sergei Bobrovsky. Though Kekalainen has been both aggressive and patient as he tries to build this team into a true contender, the franchise has been unable to advance to the second round of the playoffs and has missed the playoffs in two out of the last three seasons. 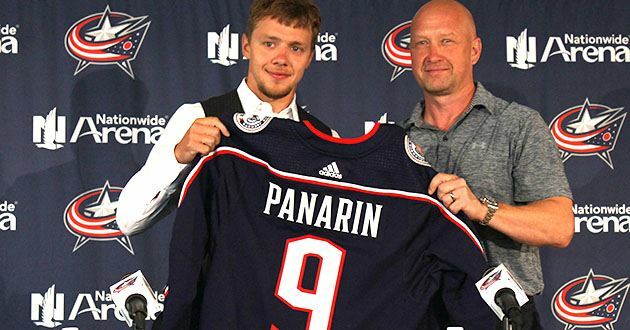 With the series of moves made this offseason, especially bringing Panarin on board, Columbus finds itself in a great position. This team is very close to getting over the first-round hump, with the postseason play of Bobrovsky being the sole thing in Columbus’ way. If Bobrovsky can somehow overcome his poor playoff showings, this team could absolutely be considered a legitimate Cup threat. The 2016-2017 season was very disappointing for the Devils, especially after landing Taylor Hall and re-signing Kyle Palmieri last summer. Hall wasn’t quite the dominant player he had been in the past, and goaltender Cory Schneider arguably had the worst season of his career with 20 wins in 60 starts and a 2.82 goals-against average and .908 save percentage. While those numbers aren’t awful, they were far from the 2.15 GAA and .924 SV% from 2015-2016, and his overall performance was just a shade of what it once was. Schneider had been superhuman for the Devils, overcompensating for the team’s overall lack of offensive ability. But he was unable to cover the cracks in the lineup last year, and the Devils finished last in the division, a full 17 points behind the seventh-place Carolina Hurricanes. So, general manager Ray Shero set out this summer to make improvements and inject more scoring into an offensively-starved offense. Here’s what happened. The Devils’ effective offseason began with a bit of luck in the form of four ping-pong balls. 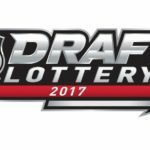 The Devils had an 8.5 percent chance heading into the 2017 Draft Lottery but ultimately came away with the first overall pick. This led to the “Nico or Nolan” debate that occupied the hockey world leading up to the June 23 deadline when New Jersey made its choice: Nico. The team has not looked back since making the decision to draft Nico Hischier, and he is looking at a top-six role with the team this season. The 18-year-old Swiss forward could play an especially key role early on with the long-term injury to center Travis Zajac. Even though the Devils have depth at the center position in Zajac, Adam Henrique and Pavel Zacha, Hischier’s smarts and skill make him a potential superstar, and his energy and ability could help transform a historically offense-deficient team into a more competitive and high-scoring roster. The Hobey Baker Award is awarded annually to the most valuable player in men’s collegiate hockey. Past winners include Jack Eichel, Johnny Gaudreau, Ryan Miller, Chris Drury, etc., and to receive a nomination, let alone the award, is considered a true honor. The 2017 recipient of the Hobey Baker was a 5-foot-8, 180-pound defenseman from the University of Denver named Will Butcher, and he was the prized free agent available over the summer. Shero went out and landed that prize, and that move could prove to be significant this season. Butcher, who is known as an offensive defenseman and is not known for his defensive play, could play a part in the Devils’ overall mission to become more offensively-inclined. He may never be a top-two defenseman who plays 24 minutes a night, but Butcher, known for his skating ability and vision, could improve the Devils’ back line and help the team improve its transitions out of the zone and up the ice. This was a bold acquisition and one that could prove to be especially significant this season. 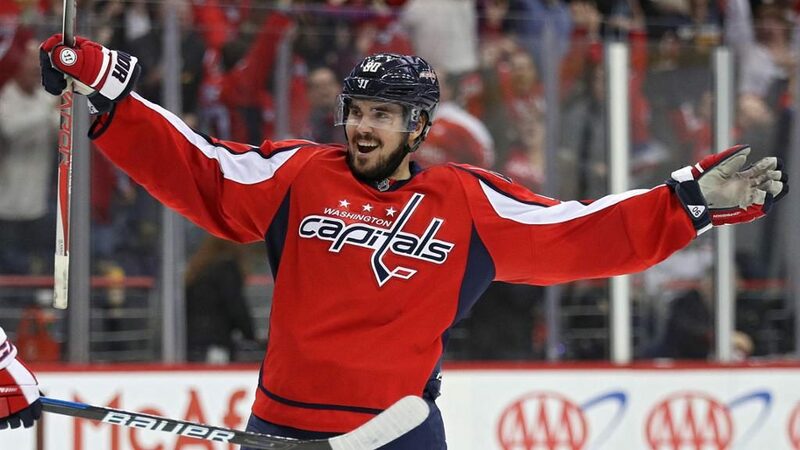 As a result of the Washington Capitals’ cap crisis, the Devils landed top-six winger/center Marcus Johansson for just a second-round pick and a third-round pick. Johansson, known affectionately in Washington as MoJo, was an incredible “get” for Shero and the Devils. He is coming off a career season in which he scored a career-high 24 goals and 58 points, and he is the kind of player that seems to get better every year. Though he finished last season with a career-high and unsustainable 18.6 percent shooting percentage, acquiring the 27-year-old Swede for a few picks is an absolute steal. His $4.583 cap hit was the only reason Washington let him go, and the fact that Shero parted with just two 2018 non-first-round draft picks to land him is borderline miraculous. Johansson’s playoff performance last season was unremarkable, but he was playing through a fractured finger and could barely grip his stick. He will give this team top-six depth it hasn’t had in years once he acclimates to his new environment. Shero made a series of other transactions, such as buying out the contracts of Mike Cammalleri and Devante Smith-Pelly, signing Drew Stafford, Jimmy Hayes and Brian Gibbons to inexpensive one-year contracts, acquiring defenseman Mirco Mueller from the San Jose Sharks prior to the expansion draft and re-signing Stefan Noesen and Joseph Blandisi as well as backup goaltender Keith Kinkaid. 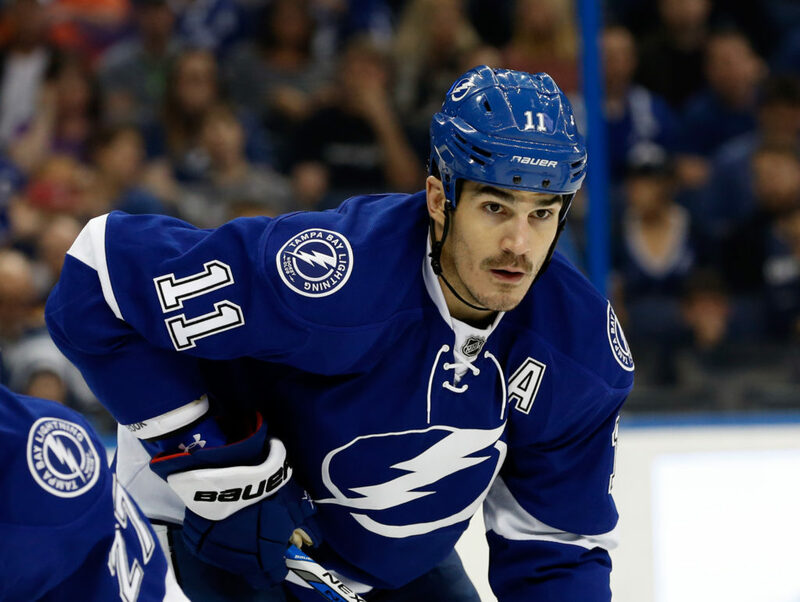 But even more importantly, Shero signed veteran bottom-six center Brian Boyle to a two-year deal on day one of free agency. The Massachusetts native has extensive playoff experience from his days with the Rangers and Lightning, as well as his brief stint with Toronto. Boyle will be unable to join the team to start the season because he was diagnosed with Chronic Myeloid Leukemia at the start of training camp. However, he is expected to re-join the team at some point this season. The two-year, $5.5 million contract was a smart signing given Boyle’s experience as well as his on-ice mentality. Boyle is a hard-nosed player who is an excellent penalty killer, faceoff man and teammate and who is unafraid to go to the front of the net. He is gritty but has shown a propensity for offense over the past few years, and he has over 100 games of playoff experience, including two trips to the Stanley Cup Final, under his belt. He will be a great leader on this young team. 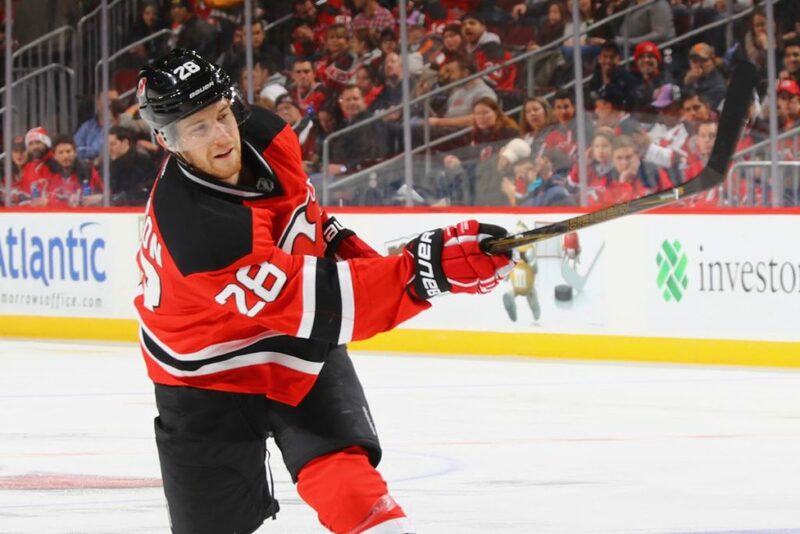 Additionally, Shero re-signed defenseman Damon Severson to a six-year extension. Severson took major strides last season and has proven himself as a legitimate top-four defenseman, even at just 23 years of age. He scored a career-high 31 points last year and was rewarded with a six-year deal that carries a $4.166 million cap hit. This is a move made for the future, and considering the offense he brings to the table, it’s an excellent deal. Getting him locked up long-term at a very reasonable cap hit was a great move for Shero and the Devils. 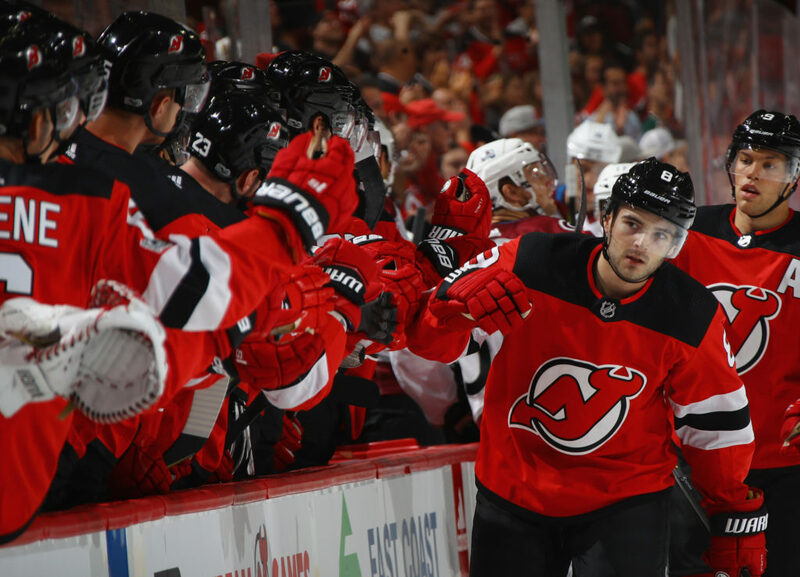 Shero made a series of moves varying in significance, but the big-picture effect of the sum of those moves is that this Devils team has much more talent and much more depth than it has had in a very long time. Shero has changed the culture of the club in a short period of time, which is impressive. A team that has played a boring defensive-minded game for years and years now has a variety of skilled forwards capable of putting up big numbers and playing a much more up-tempo, aggressive offensive style. The team is very strong up the middle and has multiple star wingers in the prime of their careers. If Schneider can put last year behind him, this team should be more than capable of a significant uptick in points and a rise in the standings. 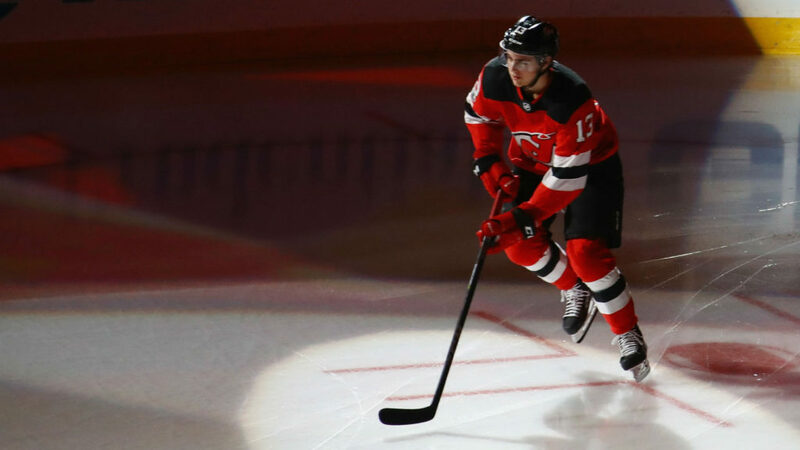 It may not be possible for the Devils to reach the playoffs in a tough division and competitive conference, but New Jersey should find itself in the playoff mix until the very end. Shero’s offseason moves have brought this Devils club much closer to returning to postseason action after missing the playoffs in each of the past five years. The Islanders have a big offseason looming as captain and franchise star John Tavares enters the final year of his contract. The Islanders did not go out and spend big money in free agency, but general manager Garth Snow did make several rather significant trades in the offseason. Though it may not be enough to persuade Tavares to stay, especially with the state of the Barclays Center and the team’s unknown future, Snow did make some offseason adjustments. Here’s an overview of what he did. The Islanders had high hopes for Ryan Strome after drafting him fifth overall in the 2011 NHL Entry Draft. After scoring 50 points in his first full NHL season, Strome followed that up by scoring just 58 over the next two seasons. He never had a consistent role in the lineup, moving from third-line center one night to second-line winger the next. Eventually, the time came to move on, and the Islanders made the most of Strome’s lingering value. In a one-for-one hockey deal, the Islanders exchanged Strome for Oilers winger Jordan Eberle, which was a remarkable feat. 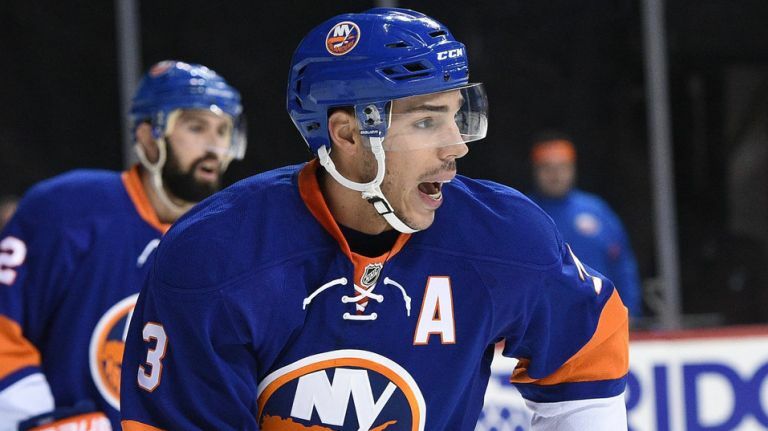 Even though the deal was a steal for Snow and co., Eberle needed a change of scenery as well; the Islanders are hoping that playing with Tavares will be just what the 27-year-old needs. It shouldn’t be too complicated to skate with a player of Tavares’ caliber, though Eberle has plenty of experience putting up points in his career and is a very skilled player in his own right. The former Oiler has scored at least 20 goals in each of his last six seasons (assuming he was on pace for 27 goals in the lockout-shortened 2012-2013 campaign). In his only other NHL season, Eberle recorded 18 goals and 43 points in 69 games. He has recorded 63-plus points four times (again, assuming he was on pace for 63 points in 2012-2013). He should hit at least the 20-goal and 50-point mark this year with Tavares, though he’s capable of much more. Eberle gives Tavares an elite winger at his side, which is something he hasn’t had in a long time. In fact, Eberle is one of the best players Tavares has ever played with, making this deal a potential game-changer. It’s still too early to know for sure, and it’s possible Eberle could bring his slump to Brooklyn, though 20-plus goals and 50-plus points isn’t exactly “slump” material. But when you look at Eberle’s talent, ability and capability, there’s much more he can offer. This could be a slam-dunk acquisition for the Islanders, and the deal itself was a brilliant move by Snow. The Islanders have a very deep and very talented pool of defensemen, as evidenced by the fact that New York was the only team in the NHL to protect five defensemen in the expansion draft. Those five defensemen were Johnny Boychuk, who had a no-movement clause and therefore required protection, Nick Leddy, Travis Hamonic, Ryan Pulock and Adam Pelech. Incredibly, the team still had at least two top-six defenders left unprotected by the move, which is what led to Snow making a deal with Vegas in order to control which Islander was selected in the draft. But after Snow decided that someone like 23-year-old Pelech required a protection slot, it became clear that someone would have to go. In the end, that someone was Hamonic. Truthfully, it can be argued that Hamonic was the Islanders’ best defenseman. However, that means he possessed the most value and would earn the Islanders the biggest return. That return turned out to be a first-round pick and two second-round picks. Even though Hamonic struggled last season, his defensive game and offensive capabilities made him an underrated defender, and his cap hit of around $3.9 million was tough to beat. Calgary jumped at the opportunity to strengthen their already-impressive blue line, and the Islanders got valuable assets in return. A lot of them. Snow exploited the league-wide need for quality defensemen at virtually unbeatable cap hits, but that’s something you can do when you have such a stocked stable of blue liners at your command. 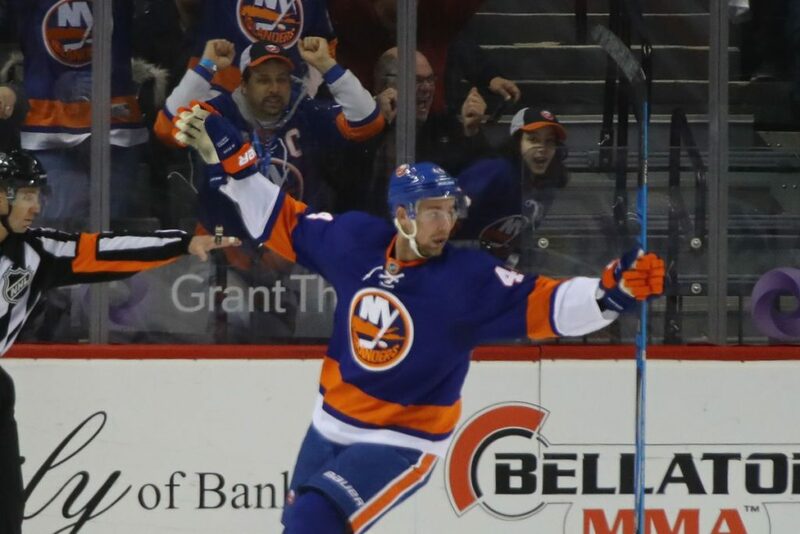 The Islanders also re-signed defensemen Calvin de Haan and Pelech. Pelech got a team-friendly four-year deal with a $1.6 million cap hit. The 23-year-old skated in 44 games for the Isles last year and figures to be a key part of Snow’s plans for this team moving forward. Perhaps the strangest part of the offseason, however, was the deal reached with de Haan, who signed a one-year deal worth $3.3 million at the eleventh hour prior to arbitration. This means that de Haan will be an unrestricted free agent at the end of this season. De Haan is at least one of the Islanders’ four best defensemen and is a valuable commodity. The one-year deal suggests that he could be used as a trade chip. Or, it’s also possible the Islanders are taking quite a risk with a “show me” contract, essentially saying that if de Haan repeats his impressive performance from last year that the team will give him something closer to the $5 million he was asking for. Either way, it’s a strange move to not spend the money on a player clearly worth retaining. In fact, he’ll have less trade value on a one-year deal than he’d have if he was locked up, so it’s a puzzling situation. In any case, it’s something the team will have to address later on. The Islanders did nothing at last year’s trade deadline, which spoke volumes. The team was clearly in need of additional pieces to help make a playoff push, but Snow sat back and failed to act. 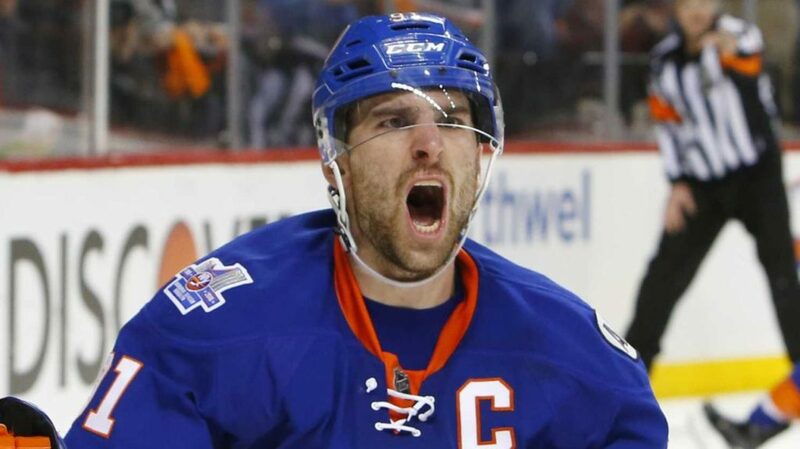 His moves from the previous offseason had not paid off, namely letting Kyle Okposo walk and signing Andrew Ladd, who failed to build chemistry with Tavares and scored just eight goals in the first half of the season. But with Tavares’ pending free agency now just months around the corner, the lack of action was surprising. Snow made up for that this summer by acquiring Eberle and protecting many key assets. Though he could have done more, it was a strong offseason on the whole. Obviously, the Islanders did not reach a deal with their franchise star, though. There are rumors that he will leave for a variety of reasons, many of which are reasonable, though deep down it’s likely he would like to stay and try to win a Cup with the team that drafted him. But Tavares is too special a player to lose, so Snow has to do whatever needs to be done. Snow will have to prove to Tavares that the organization is committed to winning and that Tavares will no longer have to carry the team entirely by himself moving forward. Tavares’ status is more important than the results of this season, because if he walks away and the Islanders get nothing, that will be a loss too great to bear. The hope is that Snow is fully aware of this reality and is working on continuing to make this team stronger and more competitive. In the mean time, the other 30 teams in the league will dream about landing one of the classiest and most gifted players in the world should Snow and the Islanders falter. The New York Rangers had another disappointing playoff finish last year after losing to the Ottawa Senators in six games in the second round. It has been three years since New York reached the Stanley Cup Final and two years since the team’s last appearance in the Conference Finals. While the Rangers have been an impressive and competitive team every year for a long time, Henrik Lundqvist’s window is slowly closing, which made this offseason particularly important for Rangers general manager Jeff Gorton. Here’s what he decided to do with the team. The Rangers traded center Derick Brassard to the Ottawa Senators in the summer of 2016, receiving Mika Zibanejad in return. Zibanejad was younger, faster, cheaper, on an expiring contract and had more potential. Brassard never would have been a first-line center for New York, and cap issues made the move a sensible one in Gorton’s eyes. 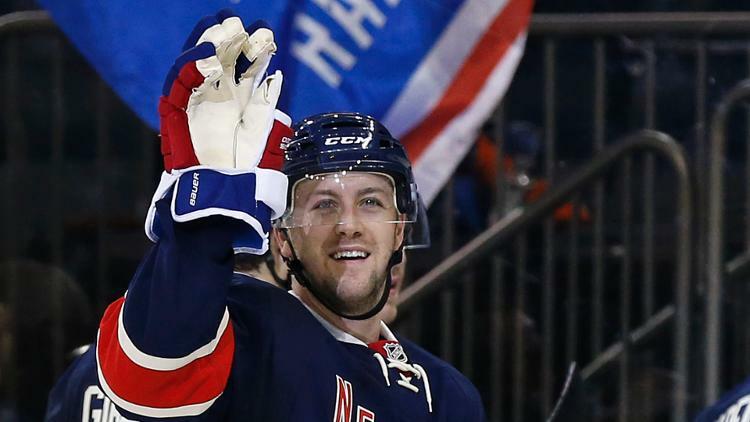 Fast-forward to summer 2017 and the Rangers once again sent a Derek on his way: Derek Stepan. Only this time, the Rangers did not get a center in return. 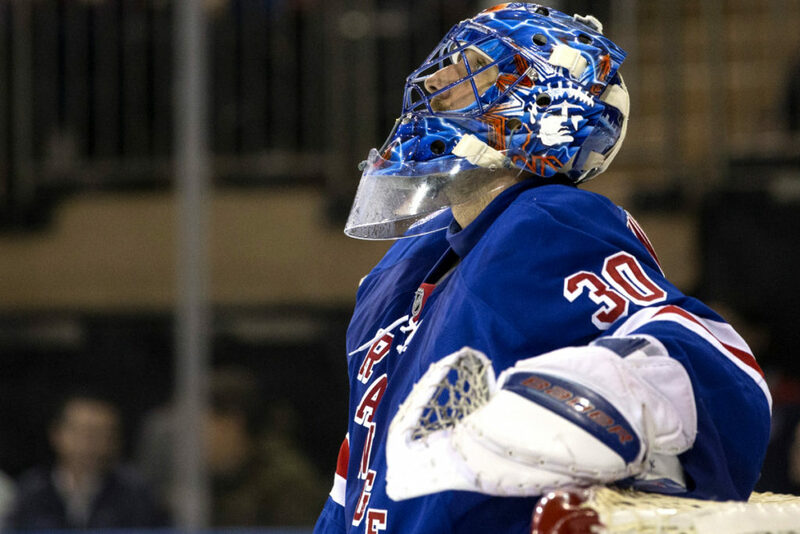 In fact, New York got very little in return that will be of any use in the Rangers’ current Cup pursuit, and New York also was forced to part with a valuable asset in backup goaltender Antti Raanta. New York acquired an early first-round pick and defenseman Anthony DeAngelo, not a proven commodity at the NHL level and someone with an iffy reputation, albeit solid potential as an offensive defenseman. Now, Zibanejad will be the team’s first-line center even though he’s not a first-line caliber center (not yet, at least, though he’s capable of becoming one). However, having a second-line center on the top line was one of the main problems with Stepan and Brassard. So instead of having multiple solid second-line centers with Kevin Hayes as a developing center and J.T. Miller capable of playing pivot, the team now finds itself very weak up the middle with someone like David Desharnais possibly playing on the third line. Part of the urgency to move Stepan stemmed from the fact that his no-trade clause was about to kick in, and his $6.5 million cap hit was a heavy burden given his maximum potential was around 50 points a year. But to move your top-line center (regardless of whether he played like one) and not get a center in return, or not flip the return package to acquire another center, makes little sense. It has yet to be addressed and it remains a glaring issue. Even if Lias Andersson, the Rangers’ draft selection with the seventh overall pick, proves to be a first-line player in the NHL down the line, he doesn’t address the team’s current needs. Gorton poked large holes in the lineup but failed to do much, if anything, to fill them, which is especially problematic given Lundqvist’s window. The team could have packaged the seventh pick and DeAngelo, or the seventh and 21st picks and DeAngelo, for a legitimate center. Matt Duchene could have fit the bill. If the team wanted to keep Andersson since the organization is so high on him, moves could have been made to acquire at least a legitimate second-line center at a much cheaper cap hit or on an expiring contract. Instead, Gorton assumes Hayes can fill that role and that Miller can center the third line if necessary, with Desharnais being brought in as a fourth-line option. Not only would that be one of the thinnest groups of centers in the division, conference and league, but any injuries would derail the situation further. Add to that the fact that the team lost young and promising center Oscar Lindberg in the expansion draft and you have one messy situation. Unfortunately for the Rangers, it’s a situation that has yet to be dealt with and could prove to be quite problematic, especially if anyone sustains a long-term injury. The Rangers were set to face several cap issues this summer and beyond and were hard-pressed to come up with solutions. 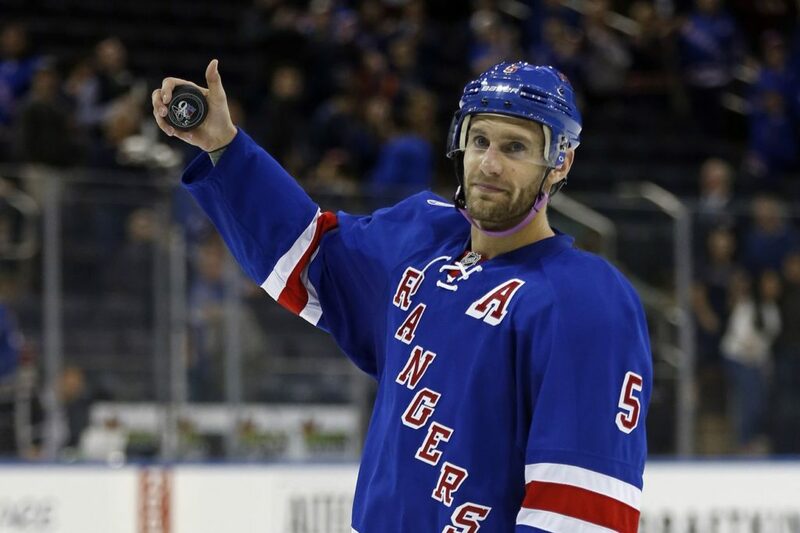 It had been a rumor in circulation for quite some time, but the team ultimately decided to buy out the contract of veteran defenseman Dan Girardi. After 11 seasons with the Rangers, Girardi had lost a step and was no longer the dominant defensive defenseman he used to be. The six-year, $33 million contract he signed in 2014, which carried a $5.5 million cap hit, sent Girardi on his way. The alternate captain who often played like a warrior and who played a crucial role in many of the team’s deep playoff runs signed a two-year deal with Tampa Bay this summer. His heart and drive will be missed. 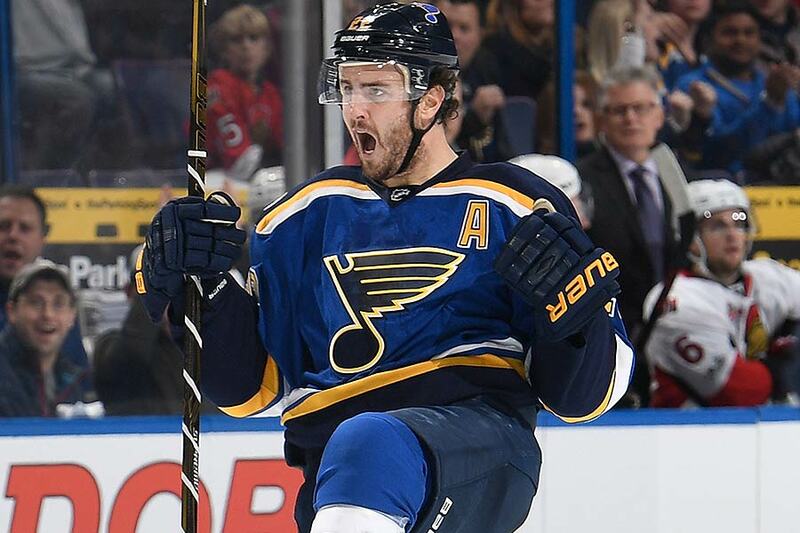 Defenseman Kevin Shattenkirk was widely considered one of the best and most underrated defensemen in the NHL as a member of the St. Louis Blues. 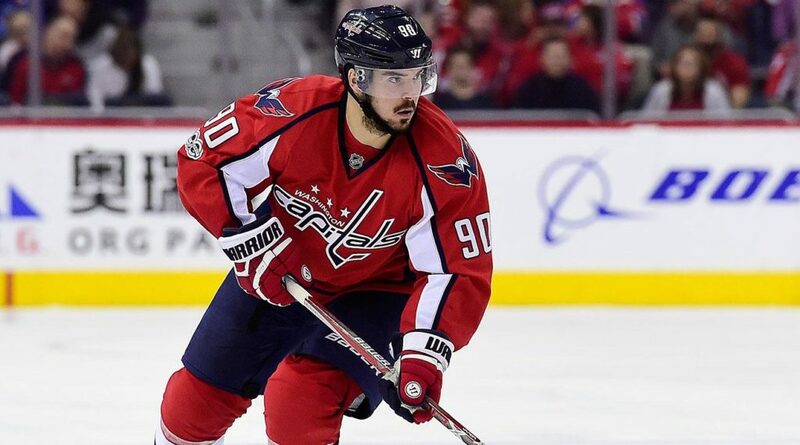 He was traded at the deadline to Washington to bolster the Capitals’ blue line for its Cup chase. However, Shattenkirk was mostly terrible with the Capitals, so much so that many thought he had damaged his reputation for free agency. He appeared incredibly slow, committed countless turnovers, was hesitant with the puck and was ineffective on the power play. It was as if he had been possessed because he looked nothing like the Shattenkirk who had thrived in St. Louis for so many years. Despite his horrendous performance in the postseason and his inability to aid the Capitals in the team’s quest to reach the Conference Finals and eventually the Stanley Cup Final, there was great interest in Shattenkirk in free agency. Though he had many suitors and received more lucrative options, Shattenkirk decided to take a relatively short-term deal for less money in order to join his childhood team, the New York Rangers. This worked out well for the Rangers since Shattenkirk agreed to a four-year, $26 million contract. The four years gives Gorton and the organization great flexibility, and the price helps the Rangers keep the team competitive. Or at least that was the idea behind the contract. Shattenkirk should play on the team’s first power play unit and will try to improve something that has long been an issue for the organization. It’s a great story to see Shattenkirk make a dream come true and play for his childhood team, and it takes a special kind of player to leave money and term (security) on the table. 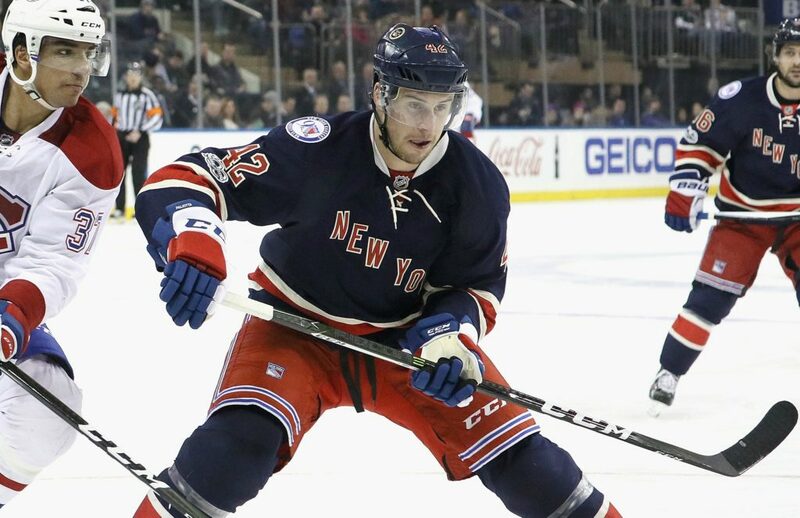 It was a win for both sides, though New York expects to see more out of the 28-year-old blue liner than he most recently showed in the 2017 postseason. The Rangers signed two key extensions this offseason, both of which turned out to be pretty fair deals for both sides. First, the team extended the contract of defenseman Brendan Smith, who was impressive since coming over from Detroit at the trade deadline. He was visibly effective for the Rangers in the playoffs and played more 5-on-5 minutes than any other player on the team since his arrival. His strong defensive play was evident in the postseason, and he and Brady Skjei made a strong third pairing. He signed a four-year, $17.4 million extension at the end of June, which carries a cap hit of $4.35 million. Smith easily could have commanded between four and six years and north of $4.5 million on the open market, so this is a strong deal for the Rangers. Like Shattenkirk’s, it’s just a four-year deal, which gives Gorton flexibility down the line. Plus, it’s a reasonable cap hit and helps the team replace some of the defensive acumen lost in the Girardi buyout. 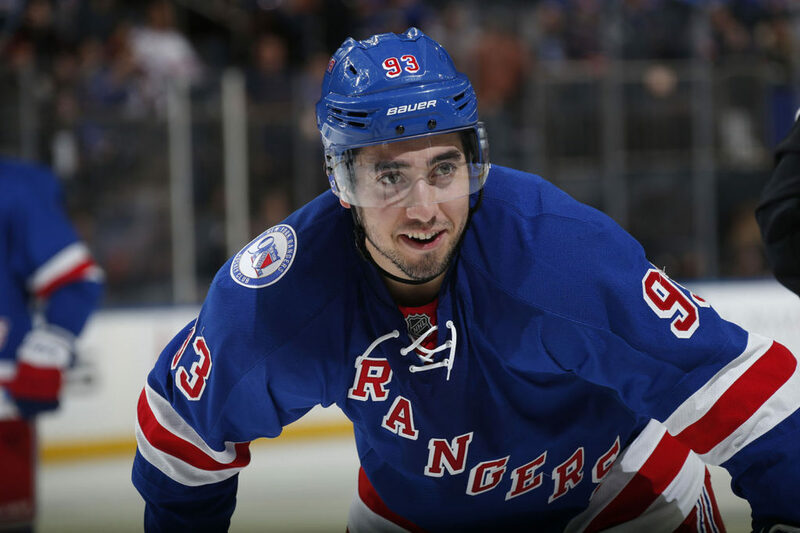 More significantly, however, the Rangers re-signed Zibanejad to a five-year, $26.75 million extension. Though there were issues that almost led to an arbitration hearing, the two sides met at a $5.35 million cap hit. In the end, the deal makes sense for both sides. Zibanejad may not be “ready” to be a first-line center, but he is more than talented enough to become one over the next few seasons, and he is by far the most talented center the Rangers have. Gorton and the organization signed him knowing that he would be the first-line center, and the team traded for him in the first place having strong belief in his ability to play a key role on this team for many years to come. 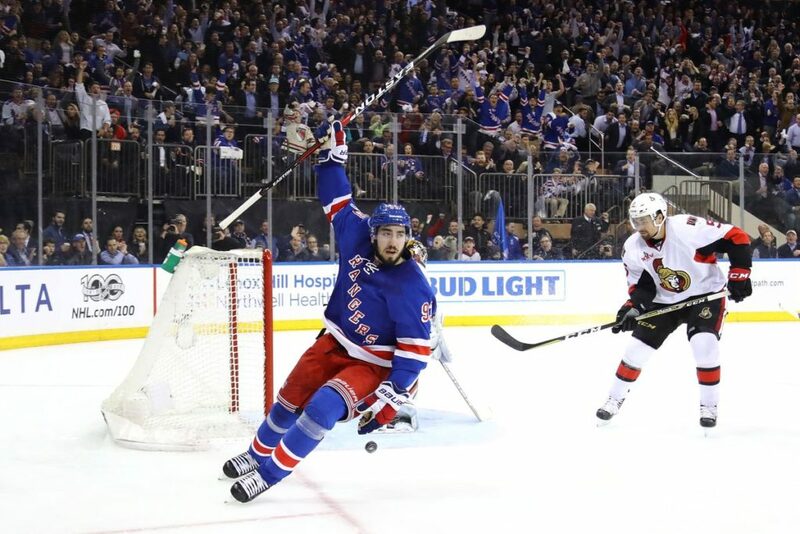 Zibanejad has improved year after year and proved that he can be relied upon in big games after scoring a critical game-winning overtime goal in Game 5 against Montreal in the first round of the playoffs. He had an injury-plagued season but was strong throughout the year and won’t turn 25 until April. There is a lot to be excited about Zibanejad, who has more skill and potential than both Stepan and Brassard. But even putting those players aside, Zibanejad is an excellent fit in New York, and the deal was a very smart signing for Gorton and the organization. The picture painted above is a dire one, but it’s not unrealistic given how thin the Rangers roster appears to be. The team finally will be able to unload the dead weight known as Rick Nash at the end of this season (or at the trade deadline if things don’t go well this year), but Lundqvist doesn’t have too many years left in him to carry this team the way he did when he was younger. Bringing in goaltender Ondrej Pavelec as a backup will not give the Rangers the same level of stability that Cam Talbot and Raanta have provided in recent seasons, and not enough was done overall to improve this team to keep up with the rest of the division. Gorton must realize that this team needs more than it currently has, but a failure to act will not get this team any closer to being a real playoff threat and challenging teams like the Penguins and Lightning for the Eastern Conference title come May. The Rangers have a long way to go and are no longer automatic playoff favorites given the offseason changes the organization has undergone. Only time will tell, but Gorton should be planning his next move for this Rangers squad. The Philadelphia Flyers have had a new gameplan ever since general manager Ron Hextall took over. For essentially the first time in the franchise’s history, the Flyers were going to be patient, take the time to develop players and build through the draft. The team would not undergo a true rebuild, but “trust the process” would be the new motto in town. Now that the team has taken a few years to develop certain players, Philadelphia has a good mix of talented veterans and exciting young prospects. Some of it has happened gradually, though there should be at least three or four rookies in this year’s lineup, including second-overall pick Nolan Patrick. In the end, the team has plenty of skill and talent waiting in the wings, but this team is finally starting to see some rewards for the time and patience Hextall has practiced. Here are the main moves he and Flyers management made this offseason. On night one of the NHL Entry Draft, the Flyers surprised many by trading center Brayden Schenn to the St. Louis Blues in exchange for two first-round picks and forward Jori Lehtera. Lehtera was thrown in the deal in order to even things out for St. Louis given his $4.7 million cap hit and declining play. Schenn had been re-signed to a five-year deal the summer before and was coming off a second consecutive 50-plus point campaign. Though his numbers were down a little, he played an invaluable role on the man advantage with 17 power-play tallies during the year. The problem with Schenn, and one of the main reasons such a highly-touted player with so much skill and potential was expendable at all, is that he never truly fit in the Flyers’ lineup. The Flyers have been deep down the middle for years, and it continues to be an organizational strength with many centers being developed at every level within the organization. With the upcoming addition of Patrick, it seemed even less clear where Schenn would play. He never had a true chance at a stable position in Philly’s lineup, and the natural center often struggled on the wing. This was especially true since the Flyers didn’t even give him a stable spot on the wing, never giving him a fair chance to adapt to a new position. That being said, he was an excellent player and brought a lot of energy and skill to this team. His game was improving, he was signed for four more seasons and his power-play prowess was promising. But the team cut ties with the 25-year-old (now 26). The move was especially surprising under Hextall’s control, since he has not been known to trade away young talent. But for one thing, Hextall had already traded Schenn away once when he was assistant GM in Los Angeles and the Kings traded Schenn and Wayne Simmonds for Mike Richards. Secondly, it was clear that Hextall felt the value of the draft picks and the fact that Schenn didn’t fully fit in the big picture allowed him to pull the trigger. It will be better for Schenn in the end since he will have a permanent top-six role as a center, where he belongs, and should be able to skate with fantastic linemates and thrive in St. Louis. 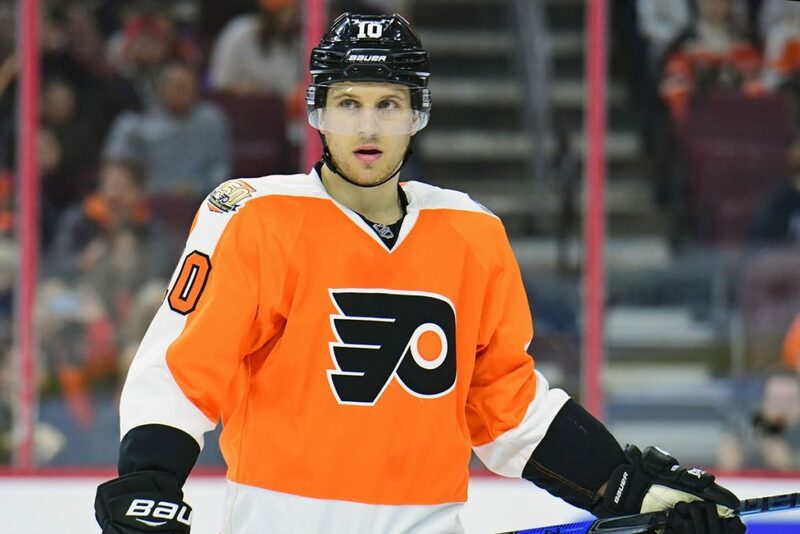 It’s a shame for Flyers fans, however, who have long awaited and long rooted for Schenn’s true breakout season. Unfortunately, that won’t be with Philadelphia. The Flyers employed two goaltenders over the past few seasons, using both Steve Mason and Michal Neuvirth in net. 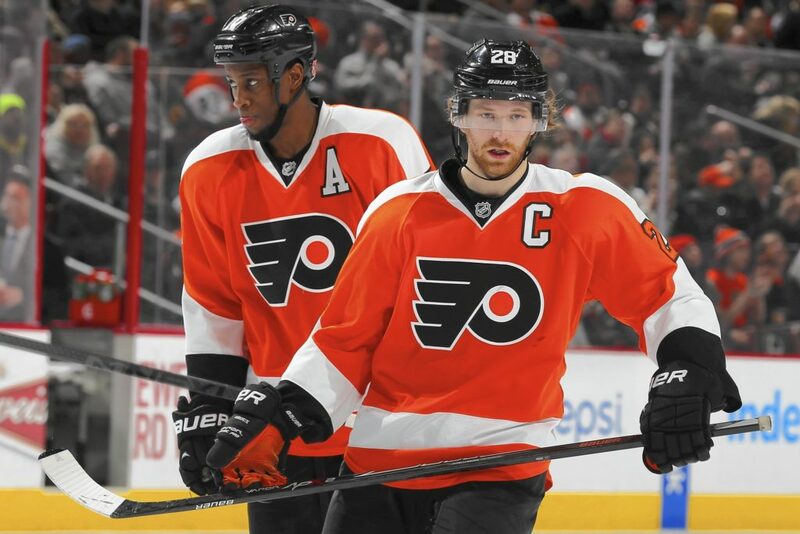 Since both were due for contract extensions at the end of last season, it became clear that the Flyers would not re-sign both but would instead consider re-signing one and, in either case, look elsewhere for additional support. After all, the duo performed miserably last season, so it was time for a change. In the end, Philadelphia went with Michal Neuvirth, signing him to a two-year deal prior to the expansion draft so the team would have someone to expose while prospect Anthony Stolarz got protected. That essentially sealed the deal for Mason, who has since moved on to the Winnipeg Jets. But the Flyers could not rely solely on Neuvirth, who was coming off a poor season, had encountered multiple injuries over the past few seasons and who had yet to prove he could handle the bulk of the starts and be a true starting goaltender in this league. The Flyers’ search for support in net led them to Brian Elliott, who was coming off a tough year of his own with the Calgary Flames. However, Elliott put in a lot of great years with the St. Louis Blues and is a trusted veteran in this league. He is accustomed to sharing the crease, which he did with both Jaroslav Halak and Jake Allen in St. Louis, so he and Neuvirth should make a solid tandem for Philadelphia while giving the young goalies in the system time to develop. Elliott signed a two-year deal with a $2.75 million cap hit. He and Neuvirth have a combined $5.25 million cap hit for the next two seasons. The Flyers re-signed defenseman Shayne Gostisbehere to a six-year, $27 million extension, which carries a $4.5 million cap hit. One could argue this is one of the best contracts in the NHL. Gostisbehere has been a special player since he first entered the lineup in place of the injured Mark Streit in the 2015-2016 season. In fact, his play sparked the team, which led to an unexpected playoff push and postseason appearance. His 17 goals and 46 points in 64 games that season not only helped lead Philadelphia to the postseason, but it broke various records and earned him a Calder Trophy nomination as rookie of the year. Gostisbehere wasn’t as strong last year, netting just seven goals and 39 points, though a lot of that has been attributed to the fact that he was recovering from offseason surgery. However, he is expected to return to his strong offensive play this year and should excel on the Flyers’ top power-play unit. The $4.5 million cap hit on the 24-year-old Florida native’s contract is already an amazing deal based on what Gostisbehere has done for this organization; the fact that it will stay that low for the next five years as he continues to develop and improve is huge for the Flyers. If you compare this contract to other similar deals, it stands out in a big way. Dmitry Orlov, David Savard and Christopher Tanev are a few examples of players awarded comparable contracts, but Ghost is a special player with tremendous upside. Plus, his defensive game has improved and continues to improve immeasurably. 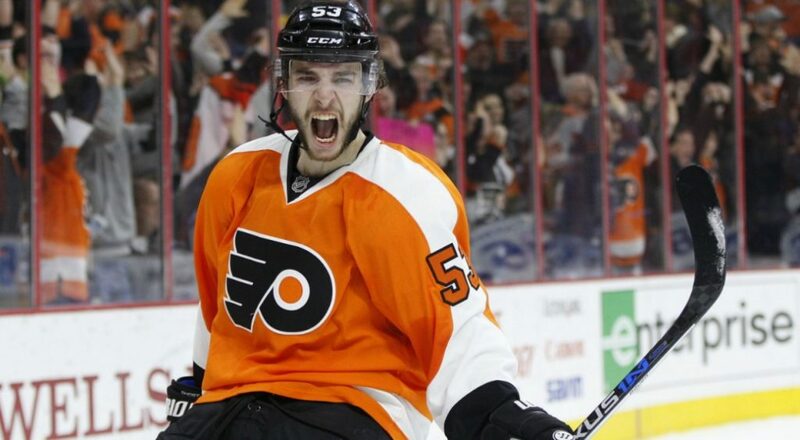 With the amount of talent the Flyers have on the back end, Gostisbehere will be free to roam as he pleases, and he should continue to pile on the points and be a difference-maker for Philadelphia. The Flyers were fortunate to draw the second overall pick in this years NHL Draft Lottery. 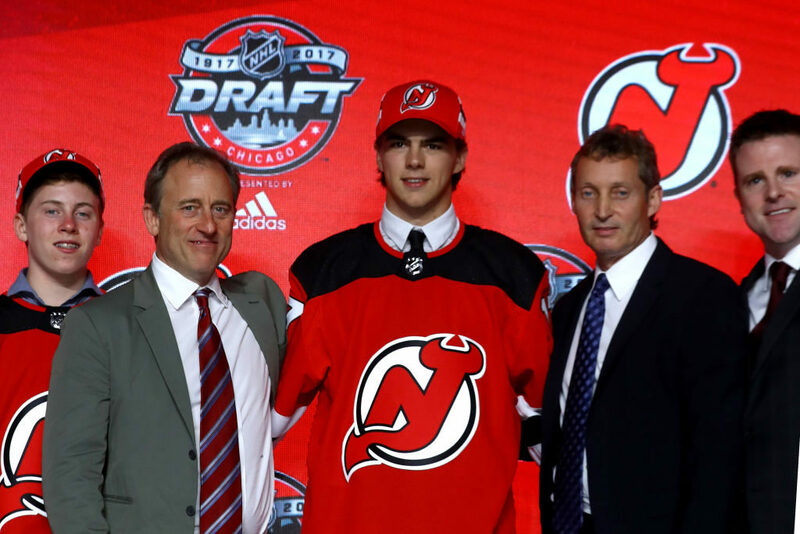 Once the Devils selected Nico Hischier with the first overall pick, it was essentially official that Nolan Patrick would become a Philadelphia Flyer. He was considered by many to be the best player in the draft and only fell to second in some rankings because of an injury setback, which made him an excellent choice for Philadelphia. Patrick battled an injury during training camp but is expected to be 100 percent before the start of the season. 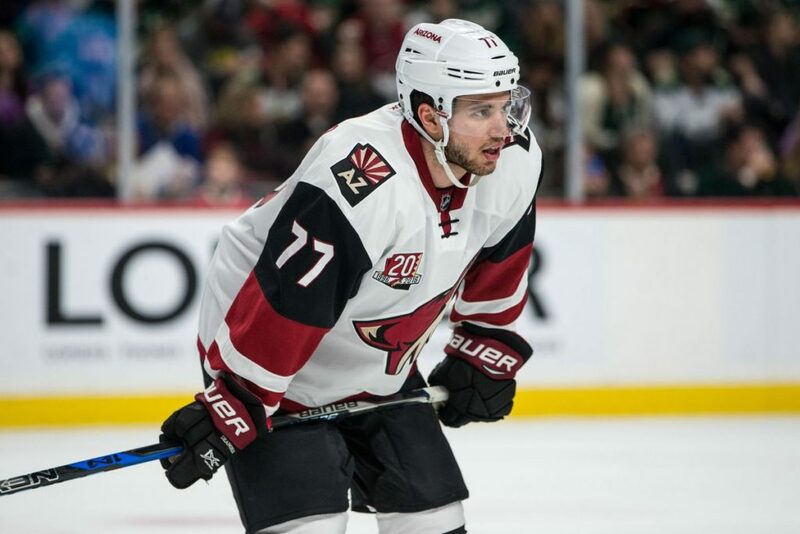 He likely will play on the second or third line and is projected to be a solid second-line center in the NHL. But there shouldn’t be too much pressure on the young forward considering Philadelphia has Giroux and Couturier to handle the heavy lifting. Adding Patrick to the mix should make this team set at center for years to come. 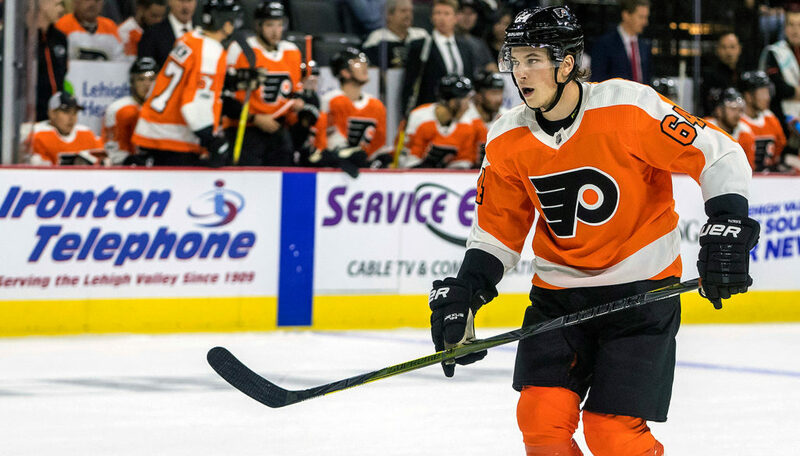 The Philadelphia Flyers will be a much faster team this season, which is largely thanks to players like Taylor Leier and Scott Laughton earning fourth-line roles out of training camp. But the speed is noticeable on other lines as well, with Travis Konecny taking advantage of his size and speed on every shift, and with Jordan Weal winning puck battles and getting to the net on nearly every shift. It’s also a younger team, with at least three rookies in Nolan Patrick, Travis Sanheim and Robert Hagg. Head coach Dave Hakstol finally may be able to employ his system, which encourages fast breakouts from the defensive zone and allows for more creativity up and down the ice. One major change to the makeup of the roster is the new-look first line, which was first put together towards the end of training camp. The line consists of Jakub Voracek at right wing, Sean Couturier at center and captain Claude Giroux at left wing. It’s still in an experimental phase, though giving Couturier a chance to use his offensive skills instead of taking hard third-line checking duties night after night, as well as filling the top-line left-wing slot that has gone unfilled for so many years, could pay off in a big way for Philadelphia. While it may not be sustainable to put the two best centers on the same line, it really shakes things up for the Flyers, which is a good change of pace for a team in need of more creativity throughout the lineup and on the ice. In a way, the Pittsburgh Penguins had the best offseason of any team in the National Hockey League. It may not have been part of the “offseason,” but winning the Stanley Cup in back-to-back years is about as good as it gets, especially since it’s a feat that hadn’t been accomplished since the late 90’s. That being said, the team lost several key pieces from the two Cup runs and didn’t exactly replace them. Despite that, the Penguins remain a serious Cup contender and threat in the East. Here’s an overview of what general manager Jim Rutherford and the Penguins did over the summer. The most significant offseason move made by the Penguins was not a move at all; in fact, it was letting two of the team’s four centers walk in free agency. The first was Nick Bonino, who played an important role in both Stanley Cup wins, especially the first. The team would not have been able to negotiate an extension with him for financial reasons, or so the Pittsburgh organization says; but at the same time, Pittsburgh did not do anything to replace him. This will leave the bulk of the load on the shoulders of Sidney Crosby and Evgeni Malkin. While those are two superstar talents, life is a lot easier when the team has four offensive lines. Even the Penguins’ fourth line for the past few years has been effective in part because of center Matt Cullen, who left the team over the summer. Again, this was not really the fault of the Penguins organization as Cullen chose to leave for family reasons. He signed in Minnesota instead, but even the 40-year-old Cullen’s presence will be missed in this lineup. The Penguins lost veteran defensemen Trevor Daley and Ron Hainsey in the offseason and needed some sort of replacement moving forward. Though both were acquired at the trade deadline in each of the past two seasons, the team needed to bring someone in on a two- or three-year contract. So, Rutherford signed defenseman Matt Hunwick to a three-year deal that carries a $2.25 million cap hit. Hunwick most recently played for the Maple Leafs. He is not really an upgrade on defense but skates well and is another experienced player. In addition to signing Hunwick, Rutherford awarded contract extensions to both Justin Schultz and Brian Dumoulin. Schultz signed a three-year deal with a $5.5 million cap hit, which arguably was more than he deserved based on how he has played for the Penguins since arriving at the 2016 trade deadline. However, Schultz came up huge on a number of occasions in the regular season and playoffs, especially in the absence of Kris Letang. But the biggest contract handed out by the Penguins this offseason was the six-year deal awarded to Dumoulin. Dumoulin’s six-year, $24.6 million extension carries a $4.1 million cap hit and will keep the 26-year-old in Pittsburgh through the 2022-2023 campaign. 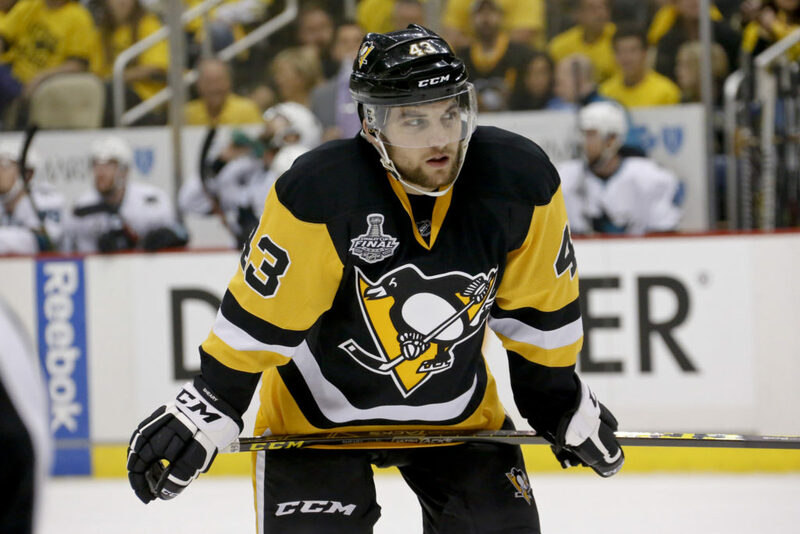 The Penguins also extended forward Conor Sheary to a very reasonable three-year, $9 million extension. The 25-year-old made a huge difference in this team’s speed game when he was first called up in the 2015-2016 season and has played a key role on the team ever since. He has skated on the top line with Crosby as well as on the second and third lines at times; he has the ability to move up and down the lineup and has provided steady production at key times. He has 63 points in 105 regular-season games with the Pens. In addition to centers Bonino and Cullen, the Pittsburgh Penguins lost several other key members of the team’s Cup runs. First, goaltender Marc-Andre Fleury, who played his entire career in Pittsburgh, was taken in the Vegas Expansion Draft. 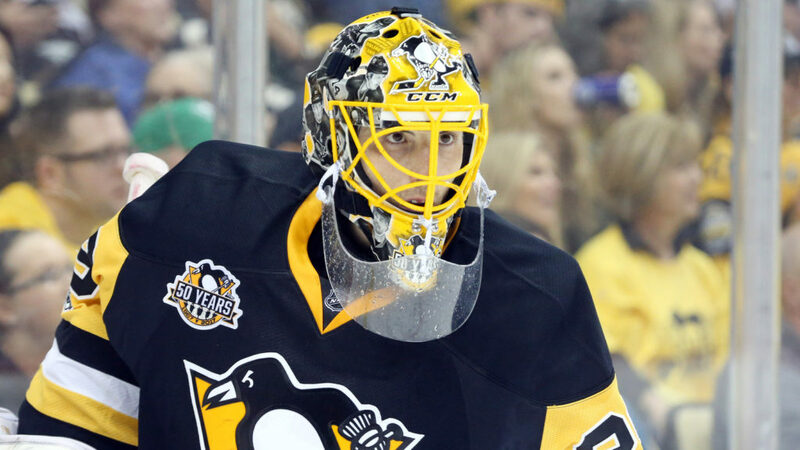 This came as no surprise as he had previously waived his no-trade clause; plus, it was fully expected given the fact that Pittsburgh had indicated it could no longer carry Fleury and Matt Murray moving forward. Rutherford almost traded Fleury at the trade deadline; however, having him around proved to be critical when Murray went down in warmups just before the start of the first postseason tilt. But beyond Fleury, the team also lost forward Chris Kunitz after nine seasons with the Penguins. Kunitz, a four-time Stanley Cup champion, signed with Tampa Bay in the offseason. His age and contract kept him from re-signing, but he was incredibly valuable to this team until the very end. In fact, it was his goal that lifted the Penguins over the Ottawa Senators in double overtime of Game 7 in the Conference Finals, which obviously ultimately led to his third Cup with Pittsburgh. Both players were key guys in this locker room and on the ice for many years. While their production may be accounted for, their importance to this team will be missed. 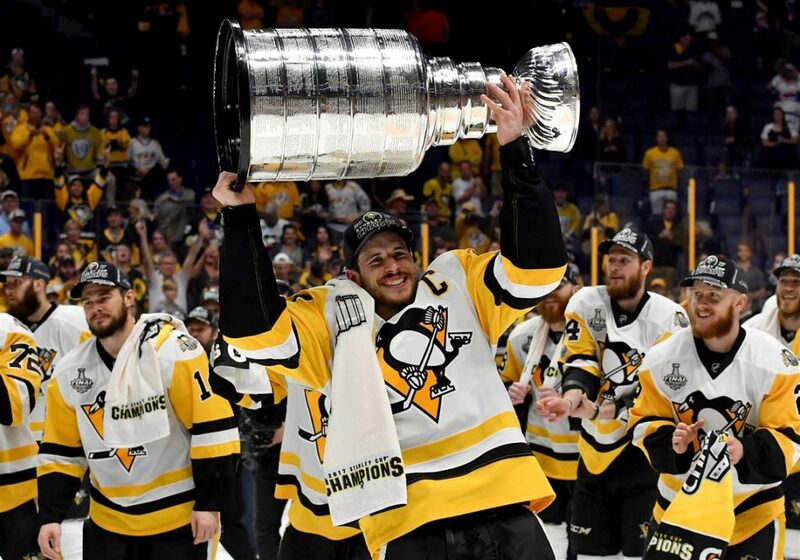 The Penguins will be a Cup threat this year and beyond with the likes of Crosby, Malkin, Phil Kessel, Patric Hornqvist, Letang and especially Murray. The three-peat certainly is a possibility, but we are almost 100 games away from even contemplating that reality. The one main issues for Pittsburgh this season are up the middle and in net. It will be difficult to replace the all-around play of Bonino and Cullen, especially since Pittsburgh didn’t do much to replace either veteran over the summer. While the Penguins have always been an organization that has relied on organizational depth for secondary scoring and support, no matter how obscure the players may seem, the team won back-to-back Cups thanks to solid and consistent play by two veteran players who came up huge, especially in the postseason. That consistency and reliability, both offensively and defensively, shouldn’t be overlooked. After losing Fleury in the expansion draft, the plan was to turn to Murray, who has been nothing short of sensational since joining the team at the end of the 2015-2016 regular season. He is the main reason this team has won back-to-back Cups, for without him it would not have happened; there’s really no way around that. However, backup Antti Niemi, who was brought in over the summer, may or may not be enough to get this team through the regular season the way Pittsburgh’s other backups have in years past. Murray cannot play every game this season; plus, he has encountered several injuries in his short career, so he should not play every game under any circumstances. If he goes down, this team will run into some serious trouble. Niemi is an experienced goalie in this league but has had very concerning numbers since his early success in Chicago and was bought out by Dallas for a reason. It’s doubtful the rails would come off given how much firepower the Penguins have offensively, but that’s not a scenario anyone in Pittsburgh wants to live out. Fortunately, there’s still a lot of talent on this team, and it’s obvious head coach Mike Sullivan has played a large role in the organization’s recent success. No matter what, even though the Penguins have seen a lot of turnover since hoisting the Cup in June, Pittsburgh is poised for another strong playoff run and is the clear-cut favorite to win the Metropolitan Division and the Eastern Conference at this point. 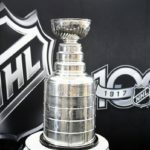 The Washington Capitals were considered Stanley Cup favorites in each of the past two seasons but fell far short, losing in the second round to the eventual Cup-winning Pittsburgh Penguins. This past year’s loss was especially difficult to process since it was largely self-induced. However, everything that has happened since has been just as difficult to contemplate. 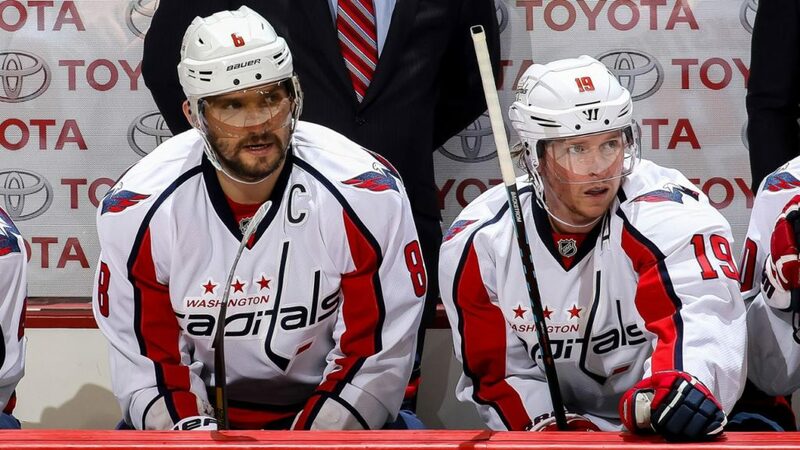 The Capitals had, BY FAR, the worst offseason of any team in the NHL. Here’s an overview of what general manager Brian MacLellan did. The single thing that set into motion the course of events that took place that led to one of the worst offseasons in recent memory was MacLellan’s inability to handle the Vegas Expansion Draft. It’s not entirely MacLellan’s fault, since Vegas general manager and former Caps GM George McPhee was more difficult with the Capitals than with any other team. However, there is no excuse for what happened. In essence, MacLellan failed to secure the important pieces on this team and lost one of the team’s most valuable players in defenseman Nate Schmidt. Clearly, this Capitals team is known for players like Alex Ovechkin, Nicklas Backstrom, Braden Holtby, John Carlson, etc. However, losing Schmidt was a massive blow, and everything came crashing down once that happened. If the Capitals’ offseason was a set of dominoes, losing Schmidt was equivalent to knocking down the first tile. Not only is Schmidt completely underrated and beloved by Caps fans, but he was an important player on the blue line, especially moving forward. Plus, he would have been the only affordable defenseman to re-sign and could have stepped into a much larger top-four role with the team this season. Instead, the Capitals lost him for nothing, and thus began the essential destruction of Washington’s blue line. 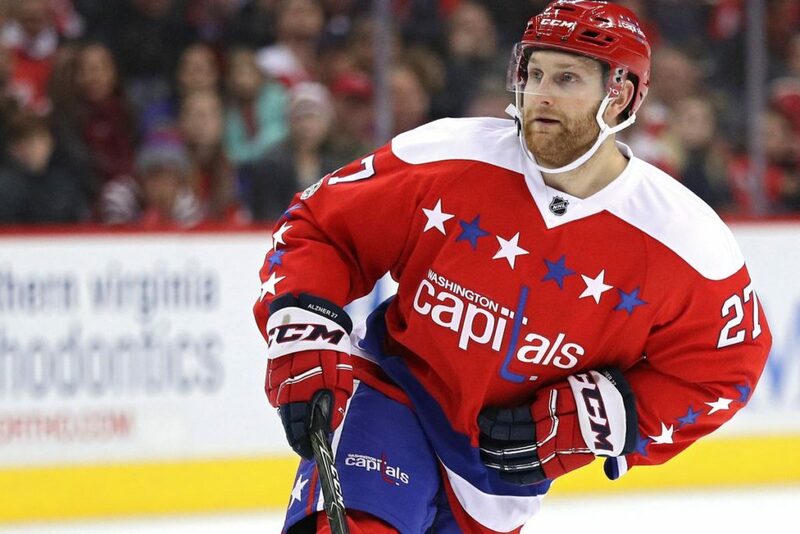 After that, Karl Alzner left via free agency because the salary cap situation was in dire straits. That left the Capitals with three signed defensemen, two of which are overpaid and overrated in Brooks Orpik and Matt Niskanen. The third is Carlson, who is a great two-way defenseman on an incredible $4 million contract that is set to expire at the end of this season. From there, MacLellan proceeded to overpay a third defenseman, signing him to a long-term contract that would severely limit the Capitals’ ability to make the most out of a difficult cap situation. That overpaid defenseman was Dmitry Orlov, who signed a massive six-year, $30.6 million extension. 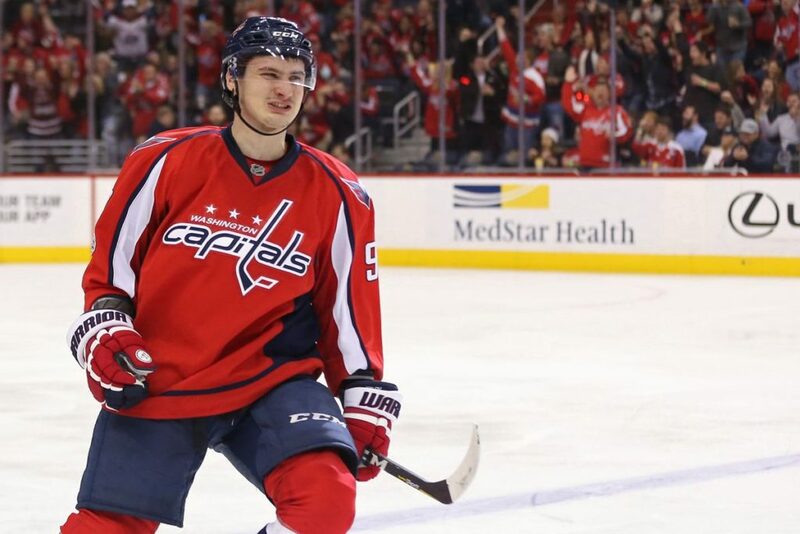 Now, Orlov has been developing in the Washington organization for years and had a breakout season last year. However, when a team is in such a serious cap situation, there is such a thing as a bridge deal. Or, MacLellan could have negotiated something a little more realistic given the fact that there was so little cap space with which to work and that Orlov had only truly shown his ability in one NHL season. But clearly MacLellan did not get the memo because one of the two other major extensions he handed out this summer could not have been worse for this team. Though in this situation, it was not entirely on MacLellan. That’s because it was center Evgeny Kuznetsov who essentially held the Capitals hostage in contract negotiations. He threatened to return to Russia to play in the KHL if he wasn’t given the massive extension he felt he deserved. At that point, there’s only so much MacLellan can do. He cannot risk losing one of his star players, especially considering that player will be the future first-line center of this team as Backstrom creeps into his 30’s. But the eight-year, $62.4 million extension Kuznetsov received was outlandish and, more importantly, devastating to this team’s cap situation. Of course, Kuznetsov has shown that he has tremendous talent and ability. He posted an incredible 77 points in his second full season in the NHL. That breakout performance, however, did not translate into the 2016-2017 season. In fact, Kuznetsov produced just 59 points, a drop of nearly 20 points. 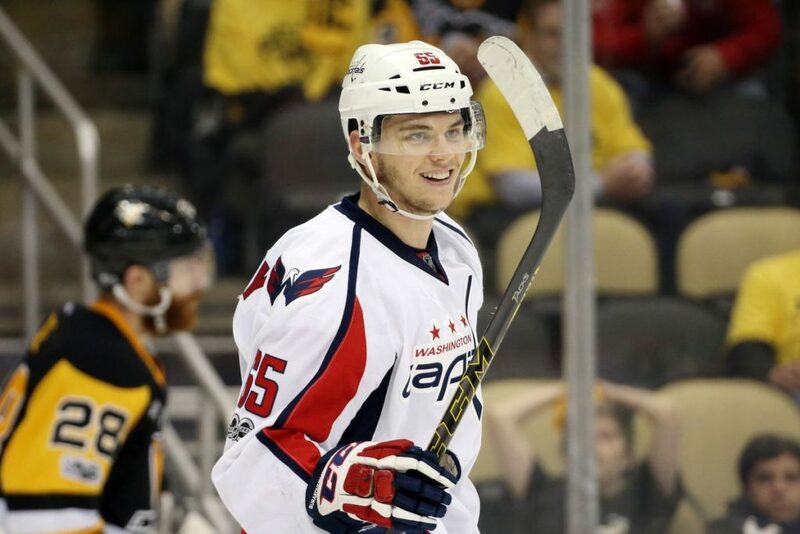 As negotiations were ongoing, it seemed apparent that the Capitals wanted to sign Kuznetsov to a long-term deal rather than wait for him to potentially explode offensively and demand an even larger contract. That being said, the $7.8 million cap hit he received was simply way too much, especially since Ovechkin ended up skating with Backstrom and T.J. Oshie instead of Kuznetsov last year once it was clear the two Russians weren’t getting it done. One can only wonder what Kuznetsov’s ask was if they settled on $7.8 million. But there was no bridge deal, no middle ground and, as a result, no money for anyone else. In this case, it is more on the character of Kuznetsov than it is on the actions of MacLellan. But it’s a true shame for a team that seemed so close to getting over the hump and truly going for all the marbles. 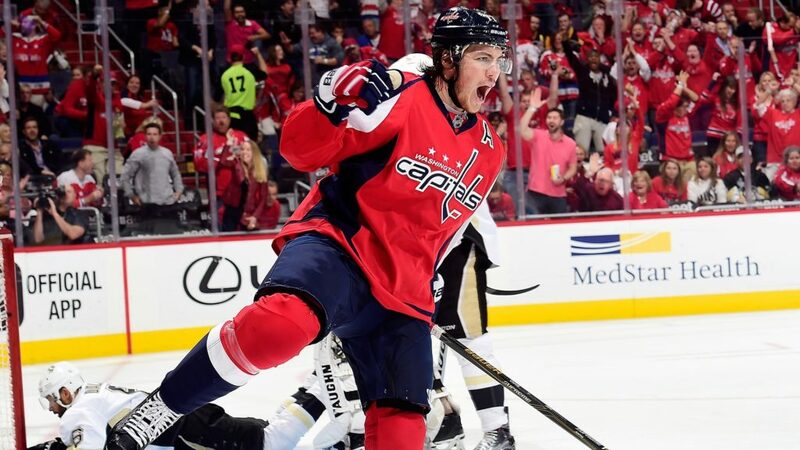 Prior to the Orlov and Kuznetsov extensions, MacLellan did make a strong move by re-signing Oshie to an eight-year, $46 million deal. Many believed that was too rich a contract, but keeping Oshie was a necessity if this team was going to have a chance to compete moving forward. Oshie had one of the best seasons of his career with a career-high 33 goals last year. He played a key role on the team’s top line and top power-play unit, was a critical leader on the team and was great in the playoffs. The fact that he is 30 is concerning given the eight-year term; that being said, the term was longer so that the cap hit could be lower. Plus, Oshie left money on the table; he easily could have gotten more money on the open market, especially after the season he put together last year. He and his family wanted to stay in Washington, wanted to stay with the Capitals and made adjustments to make it happen. He is still going to carry a $5.75 million cap hit, but that’s just an increase of nearly $1.6 million per year over his previous contract. Oshie did what he had to do for the good of the team and because it was important for him to stay in Washington. That doesn’t mean every player has to leave money on the table, but it’s a far cry from holding the team hostage. It was later revealed that almost every player on the team conveyed the importance of re-signing Oshie in their player exit interviews, which just goes to show how important Oshie has become and is to this team. 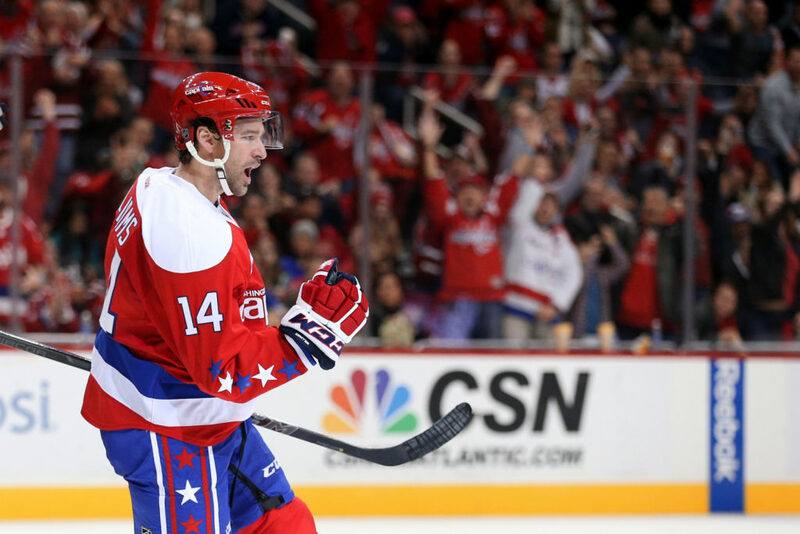 Winger Justin Williams had already left the team before the Kuznetsov extension was announced. However, Williams stated publicly that he would have taken a pay cut to stay, but apparently Capitals management didn’t reach out to him and didn’t even try to work something out. Williams was exceptional for the Capitals in the last two years and is incredibly clutch in the playoffs. He will be greatly missed this season, and he left only because of the cap situation. The same is true for forward Daniel Winnik, who played a key fourth-line role for the team. However, Winnik didn’t have a strong 2017 postseason run, so his departure is less damaging. Plus, he’s not a second-line winger scoring 50 points a year like Williams, nor is he nicknamed Mr. Game 7 for his out-of-this-world statistics in career game seven’s (unfortunately, even Williams could not help the Caps defeat the Penguins in Game 7, though the entire team played poorly enough that he probably couldn’t have stopped it no matter what). But the fact that a player like Williams was willing to take a pay cut to stay with the team but wasn’t even approached by management is disconcerting. Had MacLellan handled everything else remotely decently, Williams’ contract could have been accommodated under the cap. He re-signed with Carolina for $4.5 million a year, but he likely would have taken around $2 million for one or two years to stay with the Caps; that’s a deal MacLellan should have been able to make, and it’s a deal he should have executed. Another direct result of the cap situation, more specifically and most especially a result of the Kuznetsov extension, was the trade that sent Marcus Johansson to the New Jersey Devils for draft picks. Johansson and his $4.583 million cap hit were too expensive for the team, especially after Kuznetsov signed his deal. Mojo was promptly traded, and within the division for good measure. No one can dispute the fact that Kuznetsov has more skill and more potential/a higher ceiling than MoJo. That being said, MoJo finished last season with 58 points, just one less than Kuznetsov. Again, that’s not to say that the players are comparable, but it’s one more detail of the disastrous offseason. Incidentally, MoJo had been improving every year; he scored a career-high 24 goals last season and made the Capitals’ second line with Kuznetsov and Williams one of the best second lines in the NHL. 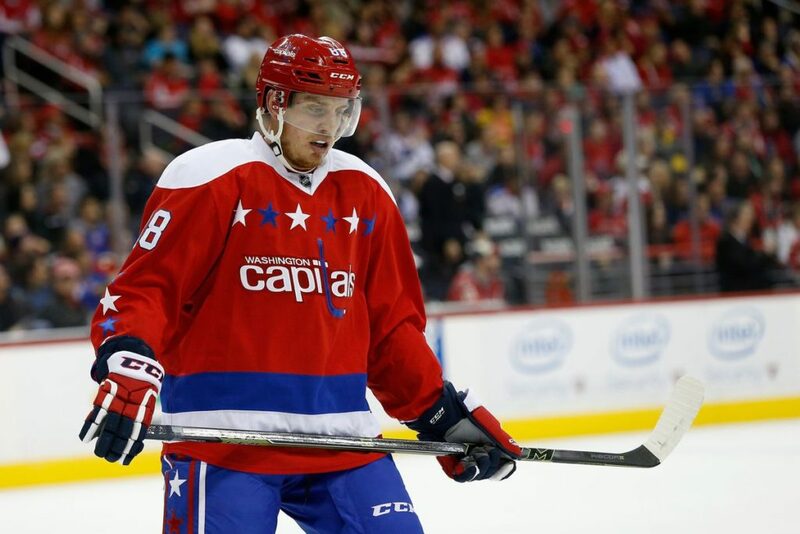 The depth, secondary scoring and power-play presence he brought to the Capitals will not be replaced this season. It has long been said that Andre Burakovsky is supposed to play a key role for the team, but he has yet to step up. He will be relied upon more than ever with the losses of Williams and especially Mojo, among others. He signed a two-year, $6 million bridge deal, so MacLellan must be familiar with the concept. However, he hasn’t shown he can be a consistent producer, but at least his deal is reasonable given his current ability and status. 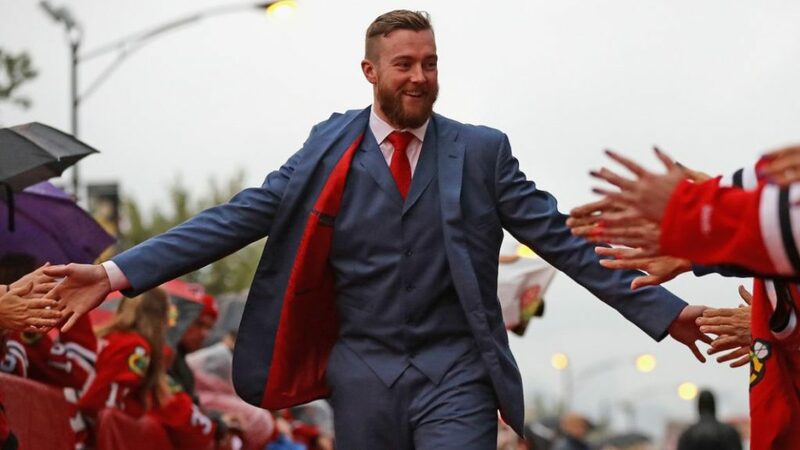 The best thing the Capitals did this offseason was let defenseman Kevin Shattenkirk walk. He was awful in the playoffs after the Caps brought him in at the trade deadline to improve the team’s chances in the playoffs. Not only was he largely ineffective offensively, but he turned the puck over frequently and was the slowest player on the ice. The Oshie extension was a great move, and signing Burakovsky to a reasonable bridge deal was a smart decision as well. Unfortunately, the rest of the offseason was a disaster, and this team is not at all what it was last season. That is not entirely on MacLellan considering last year’s roster was not sustainable because of the salary cap. However, he made several costly decisions and has really set this team back considerably. What Kuznetsov did is also not MacLellan’s fault, though it magnified the mistakes he had already made, further turning the offseason as a whole into a massive catastrophe. It seems like everything has been going wrong; even the young defensemen expected to step up this year have been disappointing throughout training camp, which is something even head coach Barry Trotz admitted. After this summer, the Capitals’ depth, skill, size, ability and talent are significantly worse than last year. That doesn’t mean this team is doomed, it just means it will be that much harder for the Capitals to make a deep playoff run. Washington should still make the playoffs. After all, Holtby is a great regular-season goalie, and the likes of Ovechkin, Backstrom, Oshie, Carlson, etc. are enough to carry this team through the 82-game grind. But at this point this team is not talented enough to be considered a true contender. Things can change during the year, and if a lot of things go the right way then nothing is impossible. But this lineup was crushed in the offseason, and it would take everything the hockey gods have in order for Washington to have a true chance.